A new project is rising, surrounded by greenery and set into the original setting of old Zličín, a project that satisfies all demands you might have on relaxation and active enjoyment. We are building 11 apartment buildings over two stages, resulting in a total of 164 modern apartments. 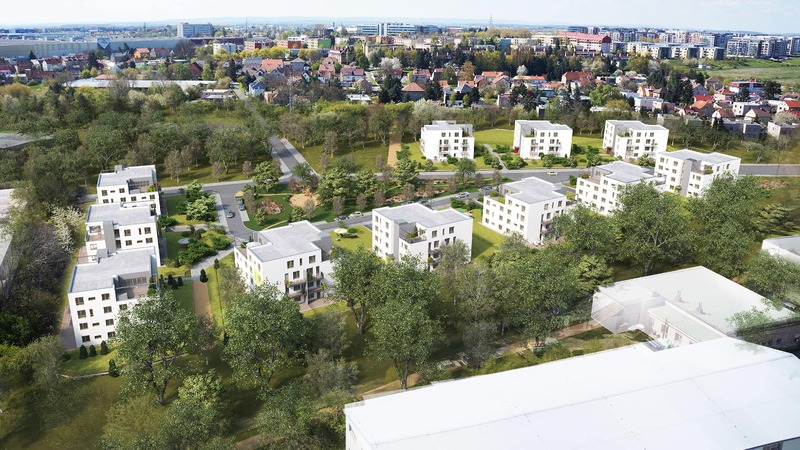 The new Koivu Zličín residential project is inspired by Nordic architecture, which is characterised by its sense of restraint, its functionality and its clean lines. The Koivu Zličín residential project sits amidst plenty of greenery, close to two ponds and a birch grove. It is an exceptional place for relaxation, a place in which you can restart yourself every day. The area in which the project is located is home to all civic amenities you might need and is ideal in terms of accessibility. Basic services, such as post office, kindergarten and primary school, are all available in the surrounding area. And it will only take you five minutes to reach the nearby Metropole Zličín shopping centre by bus. As the owner of a new apartment in Koivu Zličín, you will have the opportunity to savour the beauties of the countryside around you, enjoying them for your free-time activities. Dolejšák and Hliník ponds are not far from the residential complex, as is a picturesque natural park that is ideal for walks or bike rides. Consideration for the environment is one of the key elements in our philosophy at YIT. We also respect your budget – energy savings will allow you to save thousands of crowns every year. We adhere to highly-set environmental standards and care for the surrounding countryside by using renewable resources. We also think about how to use rainwater, which is fed into a storage tank and then used to water the greenery within the complex. The Koivu Zličín new-build is set within an increasing popular district of Prague – Zličín. You are sure to find the peace and privacy you desire in one of our eleven low-rise buildings, each containing only a few apartments. You are also certain to appreciate the proximity of two ponds, both within walking distance and the ideal places to stroll with a pram or enjoy a bike ride with the whole family. If you prefer barbecues or simply spending time with friends in the open air, then perhaps one of our ground floor apartments with large front garden is the right choice for you.There is an oasis of greenery with the complex itself in the shape of a little square, with benches and a play park for small children. And because we care about the environment, we use rainwater, collected in tanks within the complex itself, to water all areas of greenery within the grounds of Koivu Zličín.